Katey Van Vooren, senior, presents her project on color psychology for parents, students and teachers. 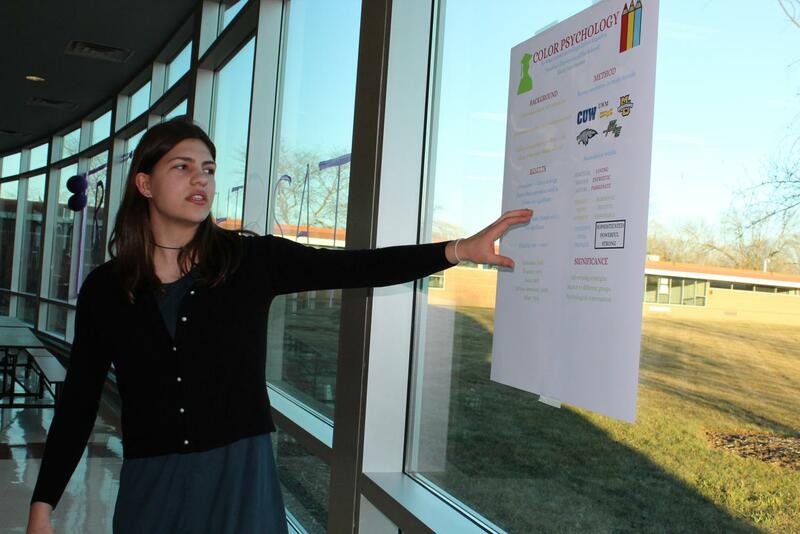 The AP Research showcase, held on March 22, occurred so the 12 students could share their Capstone projects. All of the students have been researching and working on their topic for two trimesters. Every project focuses on a different issue/topic important to the presenter.